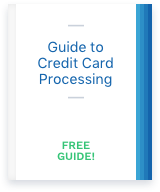 Learn how to navigate the processing maze to secure the most competitive pricing and solution for your practice. With corporate dentistry becoming a threat to smaller dental practices, the need to optimize administration and effectively manage dental procedures has never been more important. MediTouch has partnerships with major organizations in the medical field, including the American Academy of Family Physicians and the American Osteopathic Association, and boasts awards like the Surescripts White Coat of Quality. Let’s take a look at what Healt Fusion’s MediTouch software can offer your practice and what others have to say about the system…. Kareo provides dedicated practice management software, designed to make running your practice simple, easy, and efficient. Even though many people have some type of health insurance, it’s likely that your patients will need to pay for some of their services out of pocket. Whether it’s a co-payment or the full cost of a visit, people like the convenience of paying by card. Taking credit cards at your clinic may even reduce your likelihood of overdue bills, especially if you implement a credit card on file (CCOF) policy.